Zizhen has a broad tax practice in line with Chambers’ profile. She has conducted advocacy in the First-tier Tribunal, the Upper Tribunal and the Court of Appeal. Zizhen practises in all areas of revenue law. 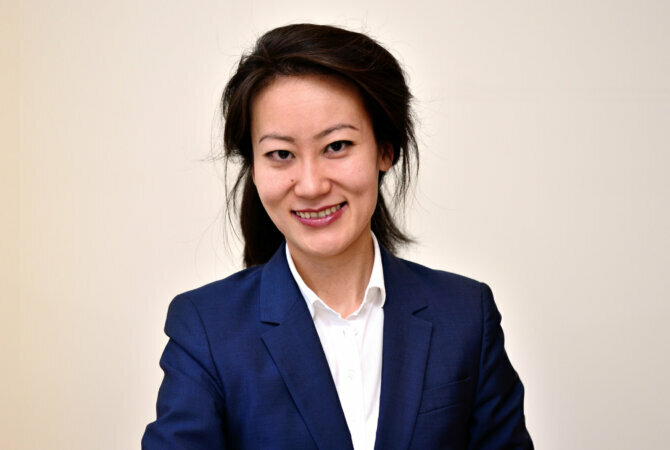 In addition, she has experience in the field of general commercial and chancery litigation from her first nine months of pupillage at a top commercial chancery set. Zizhen is happy to accept Public Access instructions. Called to the Bar (Lincoln’s Inn). Pupillage: Pump Court Tax Chambers (July – October 2010); Serle Court (October 2009 – July 2010). Tenant (Pump Court Tax Chambers). 6-month secondment at Slaughter and May (tax department). DMWSHNZ Ltd v HMRC (Court of Appeal): CGT group relief; debt redemption. Abbey National Treasury Services Plc v HMRC (First-tier Tribunal): loan relationship rules; derivative contracts; legal and accounting concepts of loss; de-recognition; transfer pricing. Cater Allen International Ltd & anr v HMRC (First-tier Tribunal): loan relationships; repo over interest coupons; legal and accounting concepts; fair representation of profit. Euroceanica (UK) Ltd v HMRC (First-tier Tribunal): tonnage tax; relevant shipping income; loan finance. Purolite International Ltd v HMRC (First-tier Tribunal): deductible expense; “wholly and exclusively” test. The First De Sales Limited Partnership & ors v HMRC (First-tier Tribunal): strike out application; whether reasonable prospect of finding payments made “in respect of” the giving of restrictive undertaking by employee; whether reasonable prospect of deduction being allowed against profits of trade. Bookit Ltd v HMRC (First-tier Tribunal; CJEU): financial services exemption; debt collection; abuse. British Film Institute v HMRC (Court of Appeal; CJEU): cultural services exemption; direct effect. Trinity Mirror Plc v HMRC (Upper Tribunal): default surcharge for late payment; proportionality. D Jacobson & Sons Ltd v HMRC (First-tier Tribunal): bad debt relief; consideration for a supply. PayPoint Collections Ltd & anr v HMRC (First-tier Tribunal): financial services exemption; provision of payment system. Quitie Ltd v HMRC (First-tier Tribunal): zero-rating; supply of construction services commencing prior, and completing subsequent, to discharge of planning condition restricting separate sale of dwelling. Patersons of Greenoakhill v HMRC (Upper Tribunal; on appeal to the Court of Appeal): renewable energy generation; waste; “intention to discard”. Devon Waste Management Ltd & ors v HMRC (First-tier Tribunal): material used to protect cell liner and cap; whether “disposal made with the intention of discarding” the material; whether “disposal made by way of landfill”; whether use of material a “prescribed activity”. Biffa Waste Services Ltd v HMRC (First-tier Tribunal): material used to protect cell liner and cap; whether “disposal made with the intention of discarding” the material; whether “disposal made by way of landfill”; whether use of material a “prescribed activity”. Pollen Estate Trustee Co Ltd and King’s College London v HMRC (Court of Appeal): charities exemption. The Partners of the Vaccine Research Limited Partnership and Lionel Patrick Vaughan v HMRC (Upper Tribunal): capital allowances; expenditure on research and development; sham; location of trade; commercial basis with a view to profit; expenditure wholly and exclusively for purpose of trade; relief for loan interest. The Brain Disorders Research LP & anr v HMRC (First-tier Tribunal): capital allowances; expenditure on research and development; commercial basis with a view to profit; expenditure wholly and exclusively for purpose of trade; relief for pre-payments of interest. Price & ors v HMRC (Upper Tribunal): bargain at arm’s length; employment-related convertible securities; employment-related securities options; retrospective legislation; CGT losses; qualifying trading company. The First De Sales Limited Partnership & ors v HMRC (First-tier Tribunal): strike out application; whether reasonable prospect of finding payments made “in respect of” the giving of restrictive undertaking by employee; whether reasonable prospect of deduction being allowed against profits of trade; sideways loss relief. Procedural propriety of FTT’s approval of taxpayer notices on ex parte application by HMRC under para 3 Sch 36 FA 2008; rationality and reasonableness of HMRC’s decision to request certain documents and information for purpose of checking taxpayer’s tax position. Simon Fry v HMRC (First-tier Tribunal): CGT; penalty for inaccuracy in return; carelessness; “no reasonable prospect” of using loss claimed; potential lost revenue. Simon Fry v HMRC (First-tier Tribunal): unreasonable conduct; failure to notify respondent of postponement application; party failing to attend hearing on purported medical grounds. Lord Mansfield Scholarship (Lincoln’s Inn); Buchanan Prize (Lincoln’s Inn); Barstow Scholarship (City Law School); Busfield Prize (ICLR). Lord Bowen Scholarship (Lincoln’s Inn); Hardwicke Entrance Award (Lincoln’s Inn); Serle Court Essay Prize for Equity and Trusts. MRC Pre-doctoral Fellowship; Trinity College Research Scholarship. Trinity College Examination Prize (2001–2003); Trinity College Senior Scholarship (2001–2003); Percy Pemberton Prize (Trinity College); De Lancey Scholarship (Trinity College). Appears with leading silks in major litigation and also handles her own cases unled. She has wide-ranging corporate tax expertise and has appeared in matters regarding double taxation relief, business reorganisations, loan relationships and derivative contracts. She acts for both HMRC and the taxpayer.